The cellulite issue happens when there is only fat and not much muscle mass under the skin. It is this fat, which gives the skin this texture. Getting rid of the fat is not the only thing one can do in the struggle against cellulite. In fact, this issue can be eliminated through the growth of muscle mass by exercising, healthy diet and proper nutrition, external care by getting special anti-cellulite massages and the application of particular remedies. In order to get rid of cellulite, one should target the precise area affected. The most widespread body parts affected by cellulite are the buttock and the legs, it can also occur on the stomach and even the arms. The skin will be smooth and bumpy. Muscles will be tightened and toned. 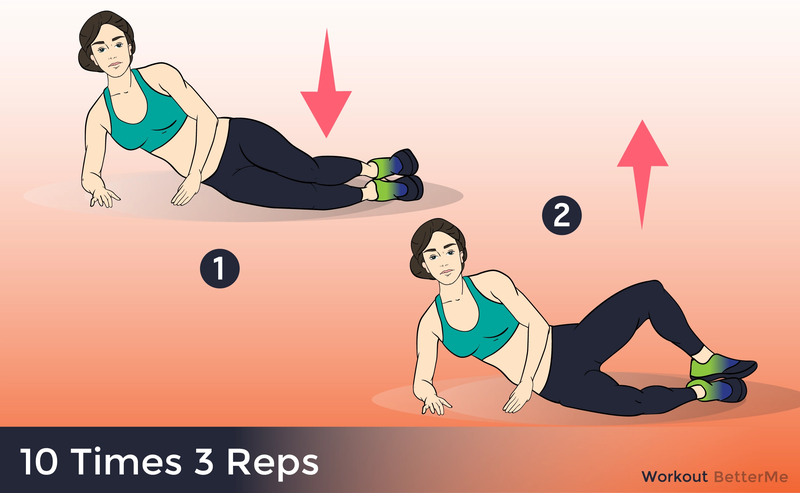 Carry out these 8 exercises for two weeks, training three days in a row with a one day break. - Lie on an exercise mat with your knees bent so that your feet are flat on the floor. Raise one leg off the floor and bend your knee up towards your chest. Yhis is the start position. 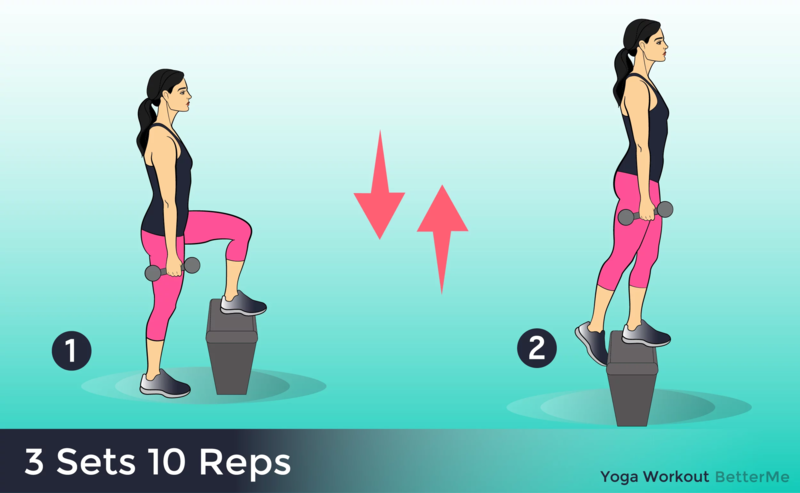 - Perform the exercise by pushing down through your other heel and pushing your hips up, raising your glutes off the mat. 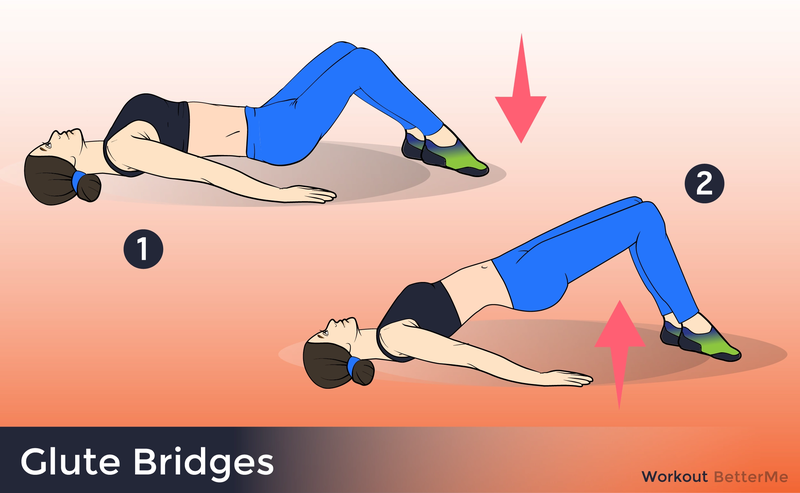 Continue until your hips are in a straight line with your torso. Hold for a count of one. - Return to the start position by lowering your hip to the floor. Complete all the repetitions for one set before changing legs. - Pause for a count of one. 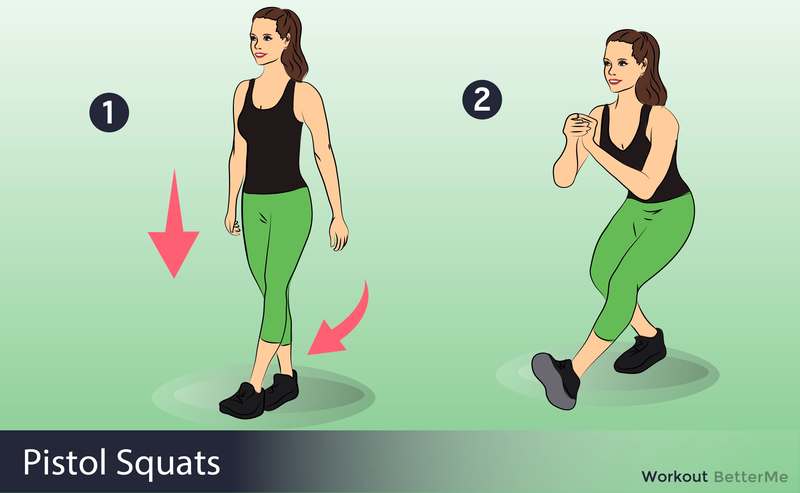 In an explosive movement, drive down through your heels pushing yourself up of the floor with your quads. At the same time extend our arms out above you. Land with your knees slightly bent to absorb the impact. - Stand straight with your feet hip width apart, arms fully extended and your hands by your sides. Raise your left foot from the floor, extending your leg out in front of you. As you do so, raise both arms out in front of you in a smooth arc for balance. This is the start position. - In a controlled movement, lower your body toward the floor by bending your right knee while pushing your hips back as if sitting down in a chair. Continue this downward movement until your right thigh is parallel to the floor. - Hold for a count of one. Return to the start position by pushing down through your right heel and straightening your leg. Lower your arms to the start position as you do so. - Position yourself on the ground supporting yourself on your hands and knees. Hold the handles of a resistance band in each hand. Hook the middle of the band on your left foot, pushing it back until the slack tightens. - Brace your core and maintain a flat back as you kick your left leg back and up. - Slowly return your leg to the starting position, not allowing the knee to touch the ground. Repeat the movement.